If there was one building which I have no clue about, it is this. It is not really mentioned in books. I am hoping anybody who reads this can give insight. It could functioned as an acitivity center, a ballroom or just where American residents gather. This was just beside St Peter’s High School and near the San Pedro Church and Convento. 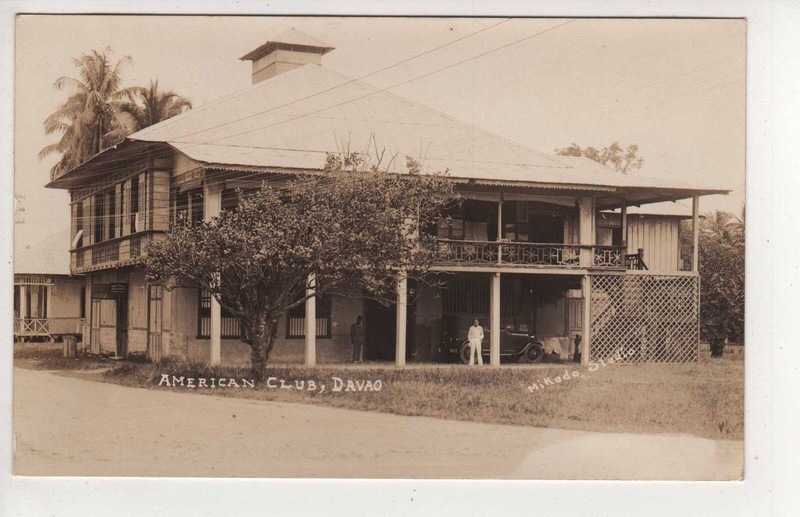 Here is another picture of the American Club, although a small one, to the right of the bottom picture. Posted in davao, davao of the past, History, old davao, Uncategorized and tagged davao, davao of the past, History, old davao. Bookmark the permalink.